A member of the Flounder family, this Atlantic Halibut comes from the cold waters off Norway. Atlantic Halibut is considered one of the largest and also one of the fastest swimmers of the flatfish species. 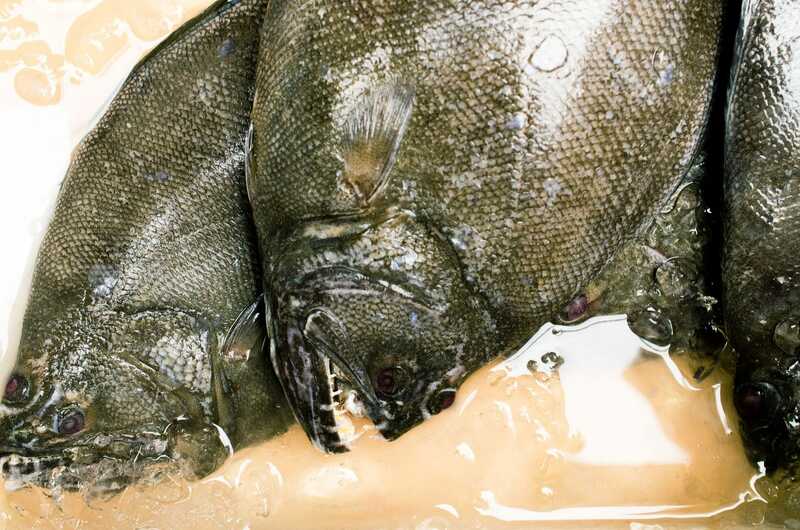 This fish is only served in the most high-end restaurants in Norway and UK and considered by many European Chefs to be more prized than wild Turbot. Halibut has wonderfully firm but flaky white flesh and a mild yet rich flavor. Because they feed voraciously on crabs, shrimp and other fish they build a complex flavor profile and excellent muscle tone. Halibut tastes great deep fried – make the most of it by using a house made beer batter featuring a quality beer. Then, it’s simple to menu it with that same beer. If you want something more elegant, Halibut pairs well with bolder whites and depending on your preparation can work well with a pinot noir. 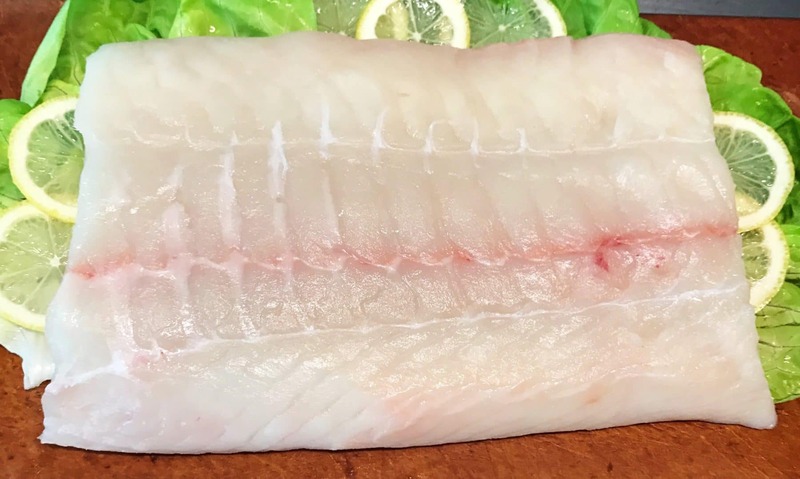 Norwegian Halibut is also great for grilling, baking, broiling, sautéing, poaching or steaming – perfect for brochettes! 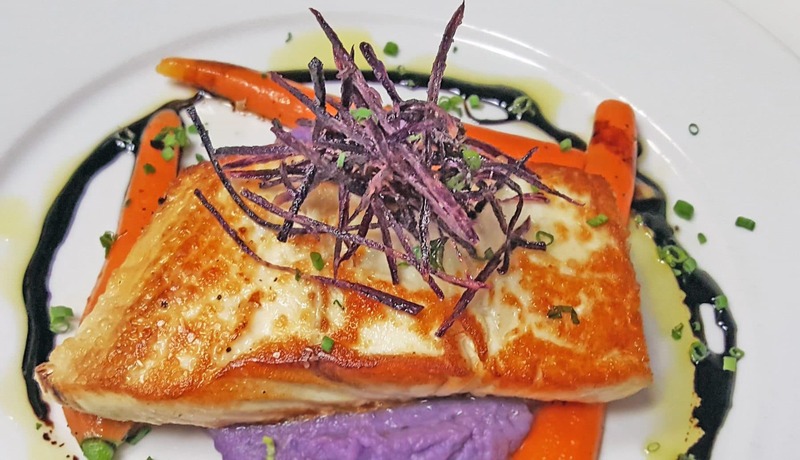 Since there’s a very strict quota that’s adhered to Atlantic Halibut due to sustainability, make the most of this offering whenever it is available and generate excitement for this great fish. Halibut is also a great fish for non-fish eaters, so recommend it across the board. 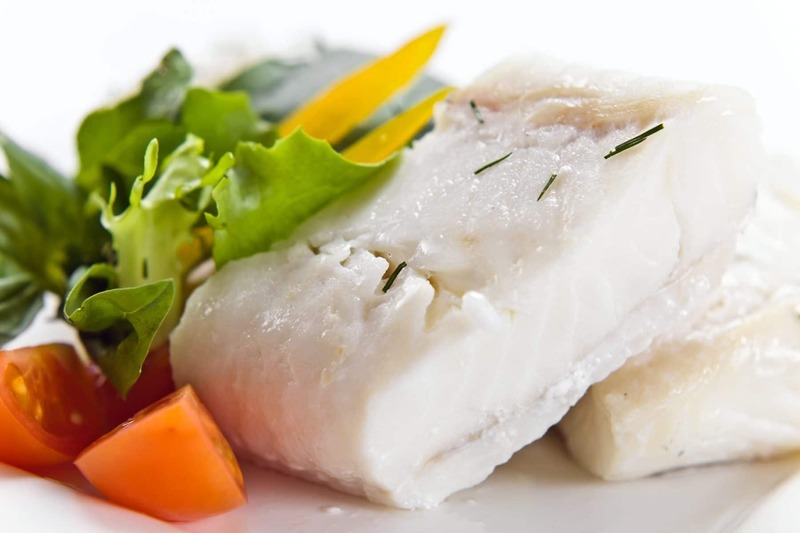 A great option for customers looking for a milder fish to cook – Atlantic Halibut is nice and firm that is versatile in many cooking applications. Have your customers try Halibut marinated in our SMS Seafood Marinade for about 30 minutes and then toss it on the grill for an easy and delicious meal in just minutes!